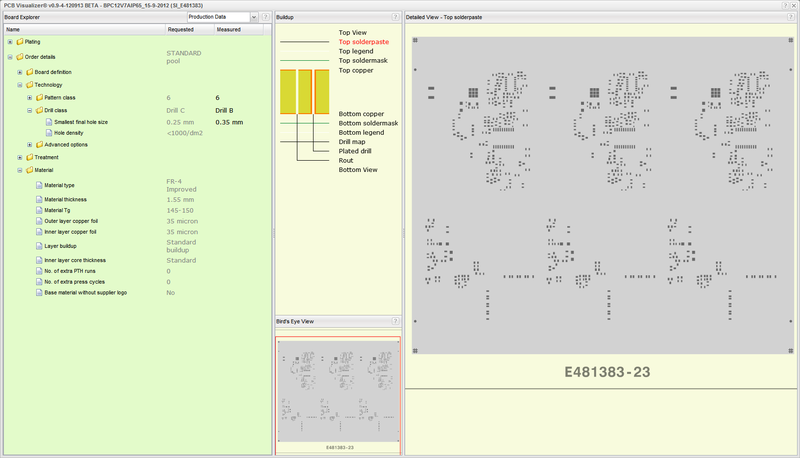 Eurocircuits launched PCB Visualizer beginning of July. This first release gave you the opportunity to view the data you uploaded into your shopping basket and check that it conformed to the board you wanted to order. User reactions so far show that this functionality is highly appreciated. We have received a lot of useful feedback and this has enabled us to make continuous improvements in PCB Vizualiser”s performance. Today we take PCB Visualizer one step further. 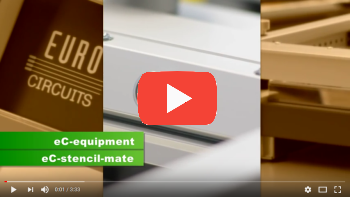 A comparison of PCB Visualizer”s analysis of your data with the order values you entered on the Calculate and order page and the specifications or your chosen pooling service. All this information is based on the CAD data you sent, and is gathered through an automatic analysis tool. These results are still available as “Pre-check data”. What new functions have we added today? When you place your order, the data goes to our front-end engineering department. 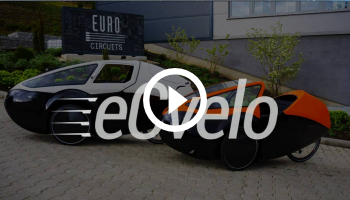 Here it is evaluated by front-end engineers using powerful Computer Aided Manufacturing(CAM) systems. You can find more information on what we do in our blogs about Single image preparation here. At the end of this process, we now send the “Production data” back to PCB Visualizer. This means that you can now access two sets of data in PCB Visualizer. 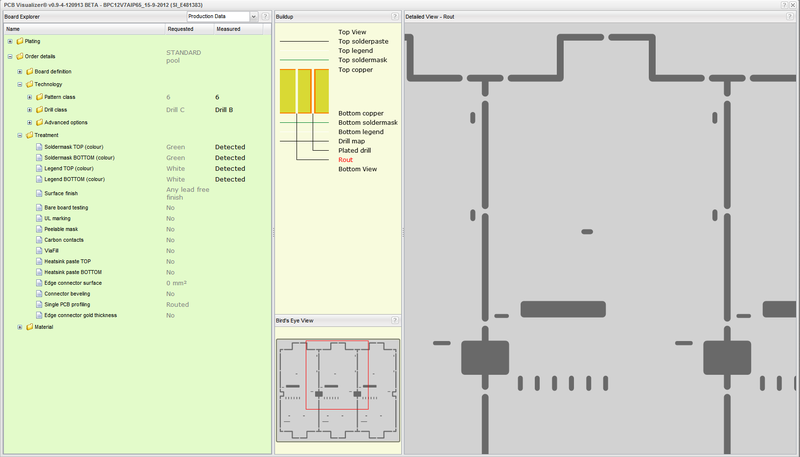 Pre-check data : showing the CAD design the way it was interpreted by the automatic PCB Visualizer analysis tool. Production data : showing the CAD design prepared for production by our front-end engineers. Pre-check data shows the legend as you sent it, but the Production data shows a clipped legend (to avoid printing legend ink on the pads). Pre-check data does not incluce slots and cut-out, but the Production data does. Extra layers are created during the data preparation process. These layers are also available now in the Production data. Rout layer showing routed outlines as well as slots. The top left part of the interface (Board explorer) shows clearly which version of the data is shown. You can readily switch between them. Why is there a difference? 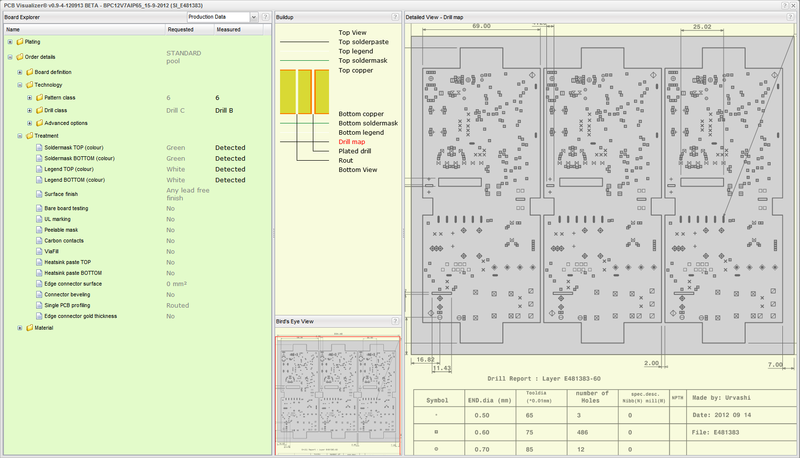 The PCB Visualizer analysis tool performs a high-speed mechanical analysis of the Gerber and drill data, but it has no interpretive power. For that we rely on our highly experienced CAM engineers. 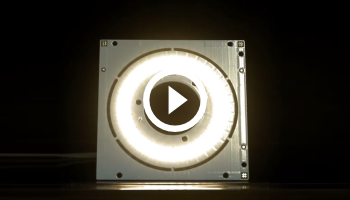 PCB Visualizer Production data are available for all orders placed since September 17, and can be accessed in Running orders as well as in Order history through your account. 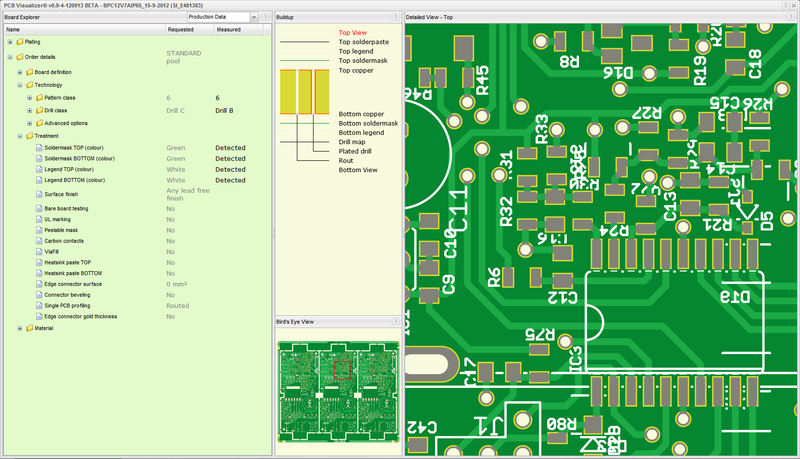 Please keep sending your feedback so that we can improve the functionality of PCB Visualizer the way you want it.